Bloomington, Illinois’ “Flyin’ Ryan” Oehler remembers very well his first competitive pass at Joliet’s Route 66 Raceway—the Chicago area’s fabulous stadium of speed. 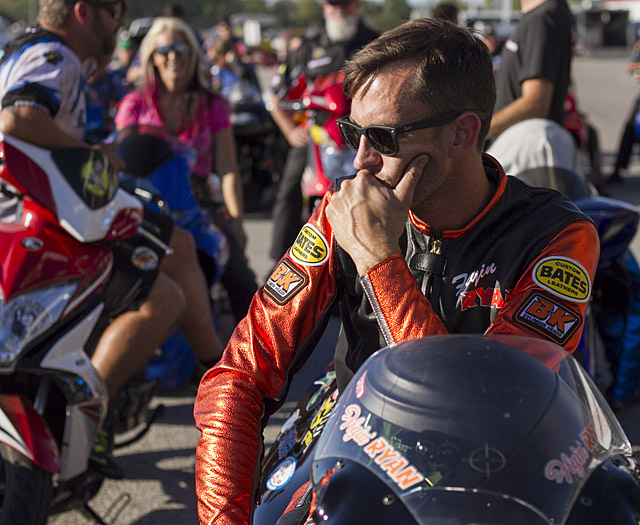 Now as a National Hot Rod Association (NHRA) Pro Stock Motorcycle (PSM) racer, Oehler may not line-up directly against Force’s Camaro Funny Car, but he does race as a professional on the same big stage—one that’s broadcast nationally on Fox. And the stage for this weekend’s stop on the Mello Yello circuit is that very same Route 66 for the Jegs Route 66 NHRA Nationals. 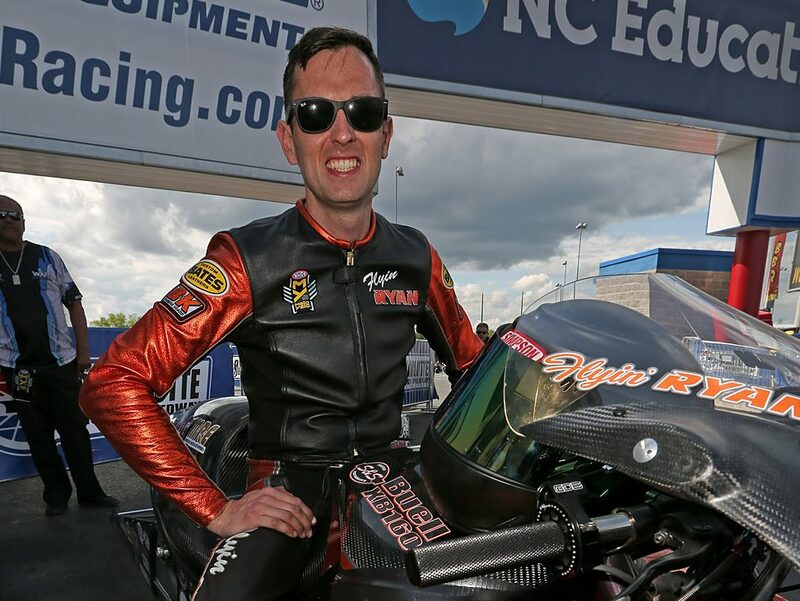 No longer a teenager, 34 year-old Oehler is a candidate for NHRA’s Road to the Future award—the drag racing organization’s version of Rookie of the Year. 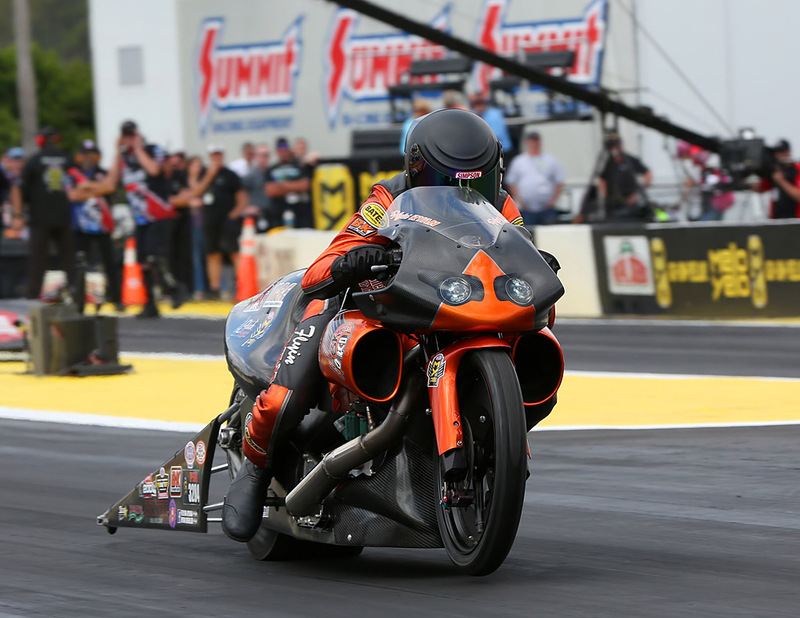 The two-time American Motorcycle Racing Association (AMRA) Pro Modified champion has moved up to the NHRA ranks fulltime this year’s and is doing very well indeed. He and his team have qualified solidly at all events and was in the pair that ousted four-time PSM champ Eddie Krawiec in round one of the Four Wide Nationals at Charlotte. Oehler’s original teenage plan was to become a track and field star. “Then I was in a really bad car accident when I was 17. That changed my focus in life. Up until then I was a pole-vaulter. But when that happened, I pretty much had to change my focus on a competitive outlet. 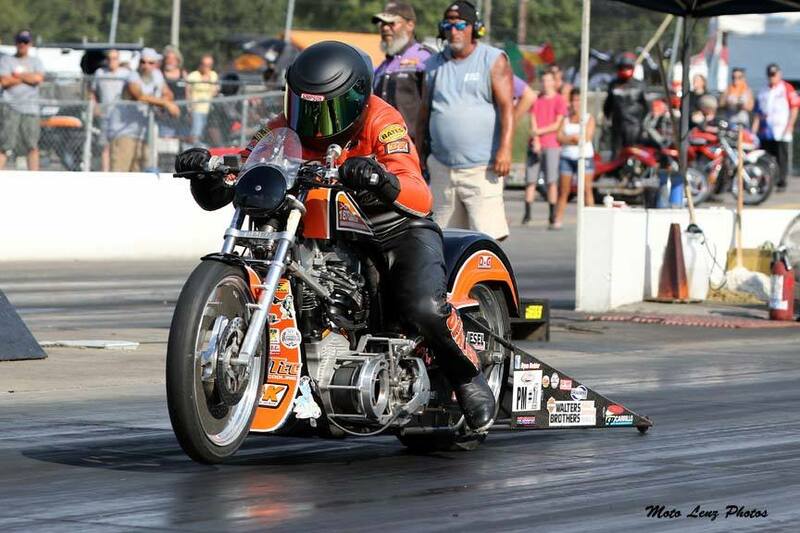 Oehler then turned his attention to Pro Modified Harley racing—an out-the-back-door performance class that returned bigger thrills for the dollar than car classes can match. And now with an S&S-powered Buell in PSM, Oehler knows that his budget increase had better be matched with an increase in his own performance. 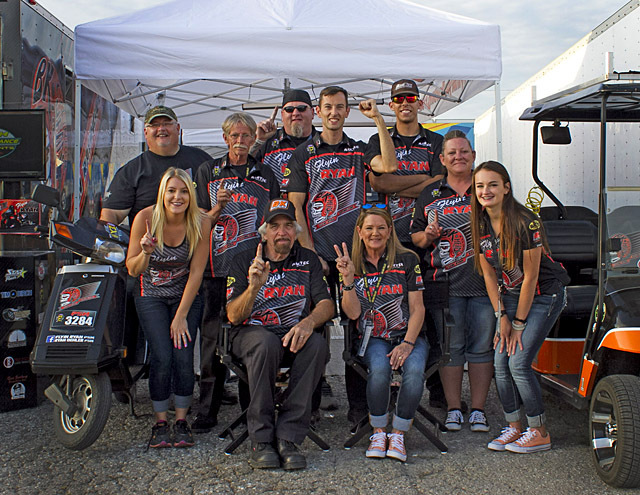 The Flyin’ Ryan team’s performance this far has secured the sponsor funding to keep this train rolling through the entire season, and keep crewman Alexander Tutt on the road with a new rig while Oehler handles a major life event that presented logistical problems with his NHRA travel schedule—his wedding! And what more pressure could you ask for than racing in front of family and friends—and the Fox TV cameras—in the stadium bowl of Route 66? Expect Oehler to meet the challenge this weekend and all season long on his Road to the Future quest. S&S https://www.sscycle.com , MRE http://www.murdochracing.com , D&G Chassis http://www.dgchassis.net , Rosati’s Pizza https://www.rosatispizza.com , Bates Leathers https://www.batesleathers.com/ , Worldwide Bearings http://www.worldwidebearings.com/ , AirTec, Inc. https://www.facebook.com/airtecinc/ , George and Jackie Bryce at Star Power http://www.starracing.com , B&K Cylinder Heads and Flyin’ Ryan Racing FlyinRyanRacing.com , his family and crewmen Alexander Tutt and Phil Leptich.